A call to Arne Ploch at Camper & Nicholsons brings welcome news that the 27.45m sailing yacht Boo Too is now sold in an in-house deal. Delivered by Pendennis in 2002, Boo Too went through major refit finalized in August 2010. 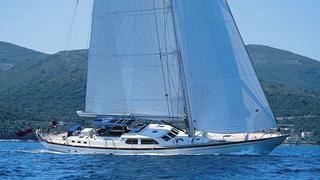 This MCA compliant, ABS classed fast-cruising sloop was designed by Ron Holland. Boo Too can accommodate a total of seven guests in one master and two twin cabins, along with a Pullman berth. She offers ample deck space and a raised saloon with full panoramic views. Under power, which is provided by a 255hp Cummins diesel engine, she has a maximum speed of 12 knots.